The Creative is at work; change is in motion in a dynamic, creative way. 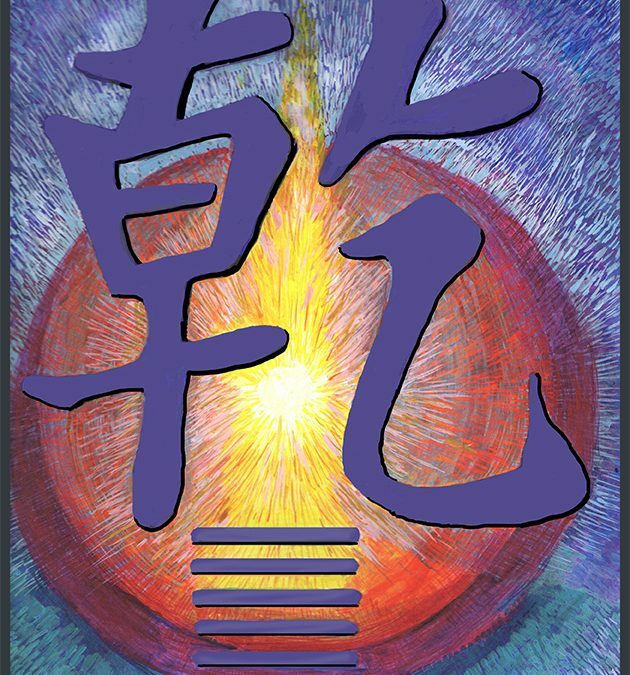 Ch’ien represents the ethereal, heaven, initiating principle called yang, as the natural opposite of the material, earth, nurturing principle called yin. Whenever I receive this reading it arrives right before a fever of activity and energy around the creative process. This is an auspicious reading and one should use the “Creative” or Dragon energy to benefit others through good works. Put all of your resources behind an effective strategy that will lead to a successful outcome. If you are receptive to the benevolent energy of the universe you will prosper during this time. Your attitude toward the Sage is most important. Alertness and receptiveness are paramount. To receive the powerful assistance of the Creative, remain humble, patient, accepting, and responsive. Careful attention to truth brings vast rewards at this time. 1. Brian Browne Walker I Ching. Princess Gomadevi was the daughter of the king of Oddiyana in ancient times, more or less in the epoch of Garab Dorje. She is one of the lineage holders of the Dzogchen teaching, particularly Semde series, or Mind Section. She was disciple of Maharaja, the Khenpo of Oddiyana, and transmitted her knowledge to Atsantra Aloke. Free from meditation object, I see the state beyond confines. I am the one whose name is Gomadevi. The elements, all five, are consorts of the fivefold families. The aggregates are the five buddha lords. 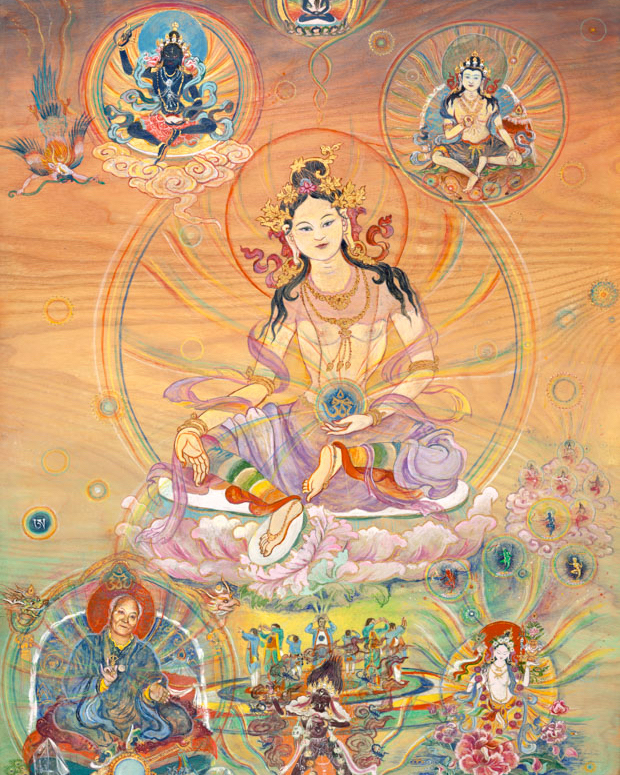 The elements and sense-bases are male and female bodhisattvas. Samantabhadra is the knowing mind. Attainment is these lords and ladies in nondual union.